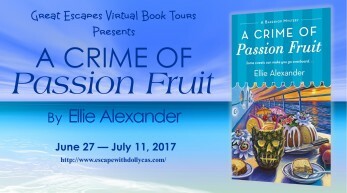 Today I am participating in a blog tour stop for the cozy mystery A Crime of Passion Fruit by Ellie Alexander, the sixth book in the Bakeshop Mystery series. Torte―everybody’s favorite small-town family bakeshop―is headed for the high seas, where murder is about to make a splash. 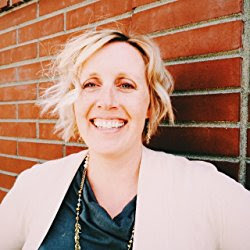 Jules Capshaw is trying to keep her cool as Torte gets set to make its transformation from quaint, local confectionery café to royal pastry palace. Meanwhile, Jules’s estranged husband, Carlos, is making a desperate plea for her to come aboard his cruise ship and dazzle everyone with her signature sweets. She may be skeptical about returning to her former nautical life with Carlos, but Jules can’t resist an all-expense-paid trip, either. If only she knew that a dead body would find its way onto the itinerary. There's nothing like jumping right into a mystery series when you haven't even read the first five books! Well, I did it again, but I have to say that I never felt like I was missing anything! The characters were so well developed that the story flowed without any loss of continuity from the previous books. I really enjoyed this and look forward to eventually starting the series from the beginning! This is the perfect summer read, especially given that it takes place on a cruise ship! My husband and I absolutely LOVE cruising and our last one was in 2010 to the Mediterranean during our mid-tour leave from Iraq. Since then, our schedules with jobs, school, and the addition of children, we have not had a vacation, so surprisingly, it was a lot of fun to read this book and nostalgically remember the days when we could just pack up and take off on a cruise. 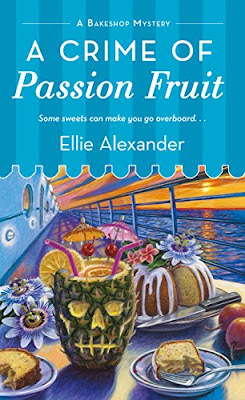 While obviously, the primary focus of the story is on the crime, I loved the balance the author created in showcasing the inner workings of being a crew member in the kitchen of a cruise ship, while also crafting an intriguing and puzzling murder mystery. This was a very fast-paced and fun story that had me trying to figure out whodunit right along with Jules. Although given the frenetic workload of running a kitchen on a cruise ship, there were many times where I had to simply suspend my disbelief that Jules would actually have had as much time on her hands as she did to try and solve the case. Additionally, I found it laughable that there wasn't even a security element on board to take over the investigation when even within the cozy world, the amateur sleuth is always butting heads with a questionable if not highly incompetent law enforcement team. Fortunately for the captain and the cruise line, Jules' mother's boyfriend, the lead detective in their hometown, just happened to be there as well to provide the much needed assistance the ship didn't have so that working together, he and Jules could figure everything out. Sometimes you just gotta let it go and believe the unbelievable. A huge highlight of this book was reading all of the descriptions of the food and beverage provided to passengers on board, which sounded so delectable, so you'll definitely want to have some snacks nearby while reading this to keep your stomach from grumbling too much! And this foodie definitely appreciated the provided recipes featured at the end of the book. Perhaps I'll find some time to try some of them out and report back on how successful the recreation turned out to be. Overall, I highly recommend this one if you're a fan of cozy culinary mysteries. I look forward to returning to shore to experience more adventures with Jules and her bakeshop. 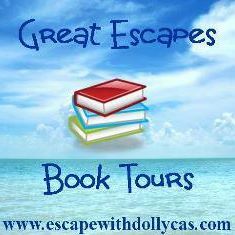 Many thanks to Ellie Alexander and Great Escapes Book Tours. It was pleasure providing a review! 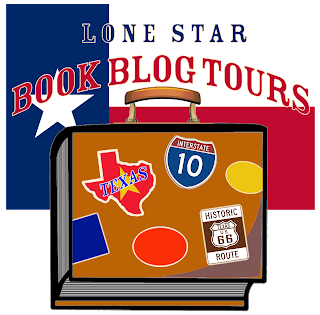 Be sure to check out other blog stops on the tour. 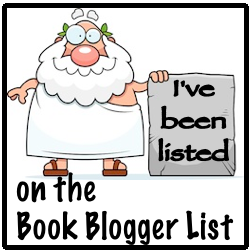 Your book sounds fun! I can't wait to read it.